The agenda prepared would help the interviewer to get a complete picture of how they should behave before the interviewee during the meeting. 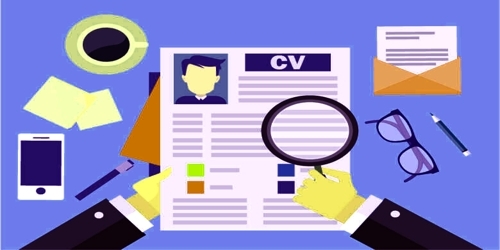 The interviewer would get comprehensive information on the aspects that should be stressed upon and the kind of questions that would be best for assessing the candidate. If the interviewee also has access to an agenda the candidate can be expected to be well prepared and would not hesitate to highlight their skills with any questions they may face during the interview. Thank the candidate for accepting the meeting with you. Explain that the meeting is just to make a recommendation and the governing body will be making the ultimate decision if it is the process of the company. Provide information about the organization and its governing body while explaining the program to the organization, mission, history and ask whether the candidate has any questions. Explain why you are interested in the candidate as a prospective member and be specific about the skills you admire in the individual. Explaining whether you have had young candidates before or not will also prove beneficial. Review the letter of agreement and specify what is expected from the candidate as an employee. Explain the kind of training the candidate can expect and any critical issues which are currently facing the governing body along with any of the information which proves beneficial. Why are you interested in our organization? What aspect of our mission or work appeals to the most? What commitment are you able to make this organization? What are your background and experience and what kind of services have been involved in? What are you hoping to contribute or gain from the organization? What skills, training, resources, and expertise do you have to offer to this organization? How can we help you to be successful as a leader or a member of the governing body? Inquire whether the candidate is still interested in the position. Invite the candidate to observe a meeting or any one of the organization’s programs. Offer a booklet of information on the organization and its governance after the interview and not before because it can distract the candidate. If the candidate declines a particular position they can be asked whether they would be interested in working in another capacity if the organization permits the same. The interview can be adjourned after completing the procedure listed above. With the organization prefer working with the candidate? List 3 to 5 related experiences which can demonstrate that the competencies that are being sought by being prepared to describe a problem on the steps which must be initiated to solve it. Be prepared to express that you are not just thinking about money or promotion and have put plenty of thought into this issue. Inform how the role you have applied for will help you to reach your goals. Conduct some research on the company before going for an interview because it will give you an opportunity to add some powerful questions during the interview which can impress the interviewer.